You can tag a ticker with a keyword in order to classify it according to your own categories. 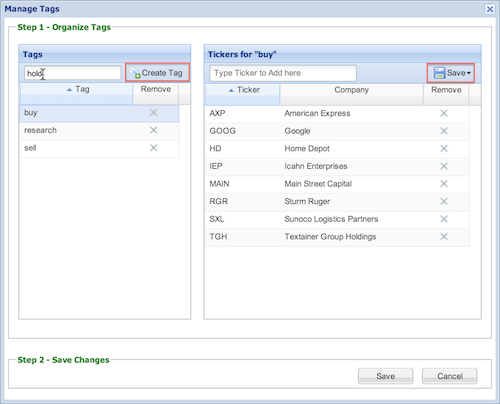 To tag a ticker, right-click on it in the Table, mouseover ‘Tag’ from the drop-down menu, and either select a keyword from the drop-down list, or enter in a new keyword. 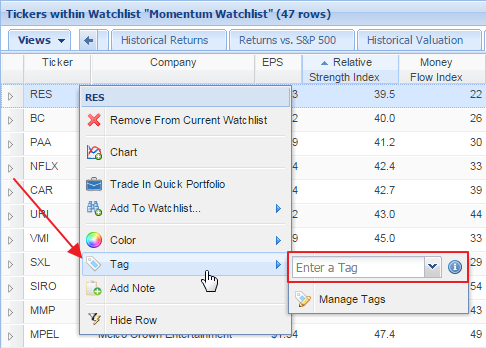 Note that you can only tag stocks with one keyword. 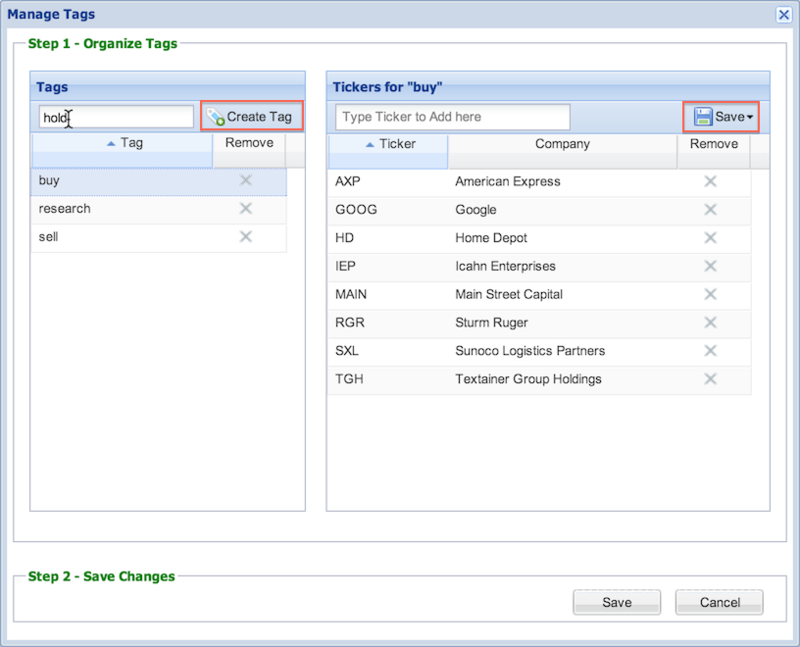 To manage your keywords, or tag several tickers at once, click ‘Manage Tags’ below the keyword box. This will bring up a dialog window you can see a full list of your keywords tags on the left. Type into the box to create a new keyword, or click on an existing keyword below to edit the name. Click the “x” under the ‘Remove’ column to delete the keyword. When a keyword is selected, you can see the list of tickers tagged with that keyword on the right. Type in a ticker symbol in the search box on the right in order to tag that ticker with the selected keyword. 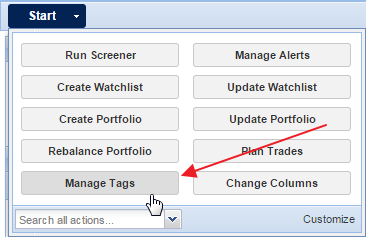 If you’d like to save all the stocks with a certain keyword, click the ‘Save’ button and select to save them as a portfolio or a watchlist. You can also get to this window by selecting ‘Manage Tags’ from the Start menu.